New insights into Pietro d’Abano’s unique approach to translations. The commentary of the Italian physician and philosopher Pietro d’Abano on Bartholomew of Messina’s Latin translation of Pseudo-Aristotle’s Problemata Physica, published in 1310, constitutes an important historical source. 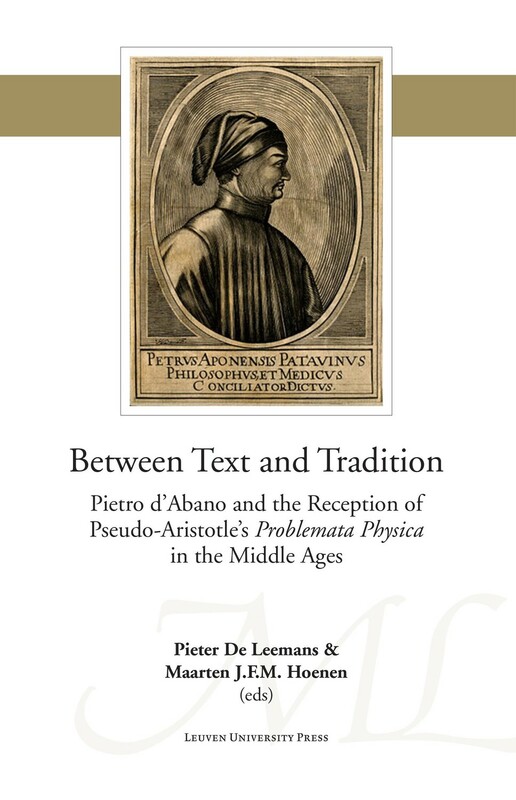 In a section of the corpus Aristotelicum that was not part of the standard curriculum at the medieval university, the commentary of Pietro d’Abano investigates the complex relationship between text, translation, and commentary. The eight articles in this volume provide valuable insights into the manner in which Pietro d’Abano deals with the problems of a translated text. They emphasize the idiosyncrasy of his approach in comparison to his contemporaries and successors, the particularities of his commentary in light of the habitual exegetical practices applied in the teaching of curricular texts, as well as the influence of philosophical traditions outside the strict framework of the medieval arts faculty. Pietro d'Abano: médecin ou philosophe? Maarten J.F.M. Hoenen, professor of philosophy, is Vice Rector of the University of Basel. He is the author of several books and numerous articles on the history of late medieval philosophy and theology.